Signs of crumbling foundations were found at two public buildings —a firehouse and school— in Tolland, officials said. Birch Grove Primary School and Fire Station 140 on Crystal Lake Road both showed cracks characteristics of crumbling foundations, according to a public buildings review, the Journal Inquirer reported. Town Manager Steven Werbner said the school is expected to take core samples and follow up with an engineer, but since the fire station is less extensive, town staff will be monitoring and taking monthly photographs. Werbner and the building official both said Birch Grove and Fire Station 140 continue to be safe for occupancy. 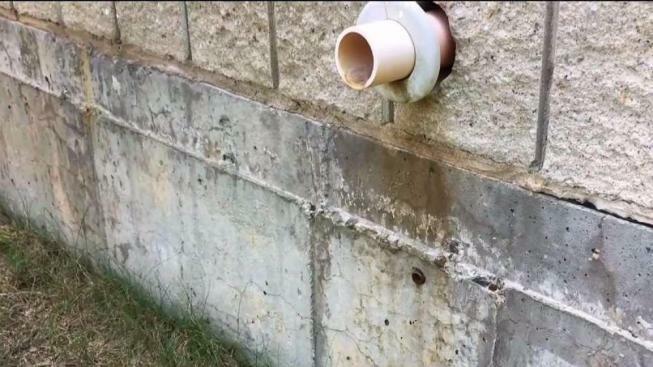 In July 2015, NBC Connecticut Troubleshooters broke the story about dozens of homeowners in Hartford, Tolland and Windham Counties who discovered their concrete foundations are deteriorating. The homes with faulty basements were all built between the early 1980s and the early 2000s and most began to show signs of deterioration between ten and 20 years after construction. The NBC Connecticut Troubleshooters investigation was the catalyst for the State of Connecticut to launch its own multi-agency probe into the cause and scope of the problem. In a series of initial reports, the NBC Connecticut Troubleshooters reported pyrrhotite, a naturally-occurring iron sulfide mineral, as the likely root of the foundation issues.